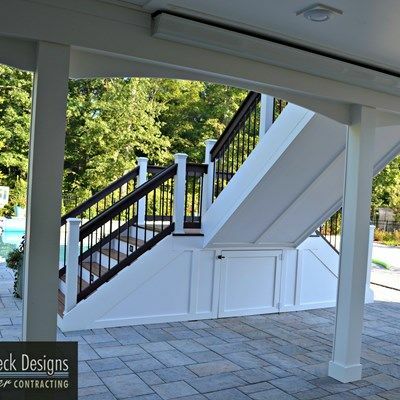 We used a dry Rain Escape ceiling and installed storage underneath the stairs the client. 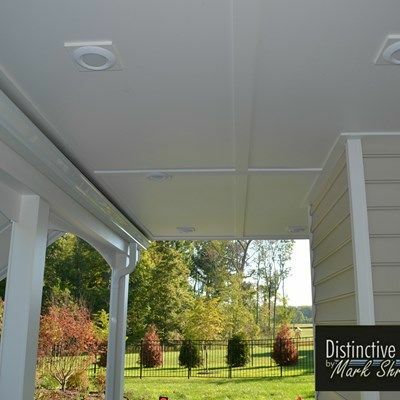 This particular product also integrated the use of Trex composite decking materials. 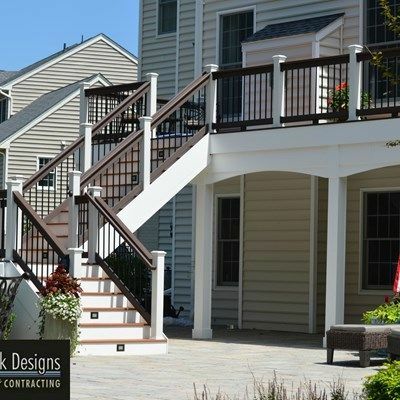 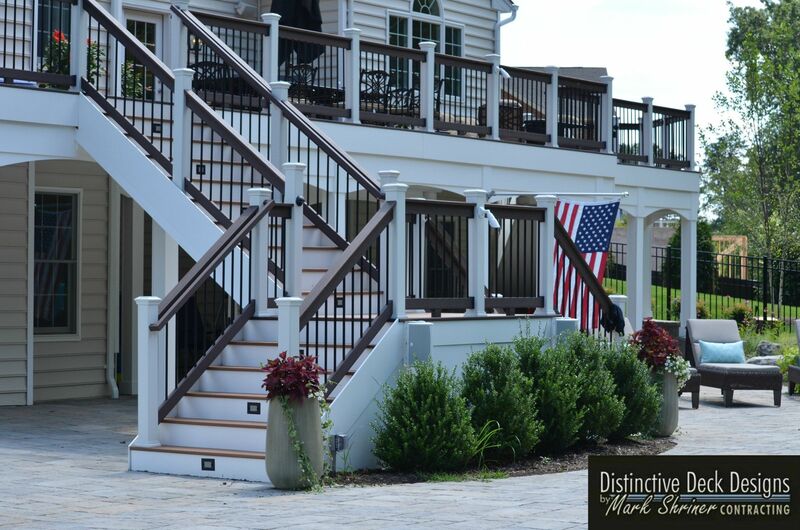 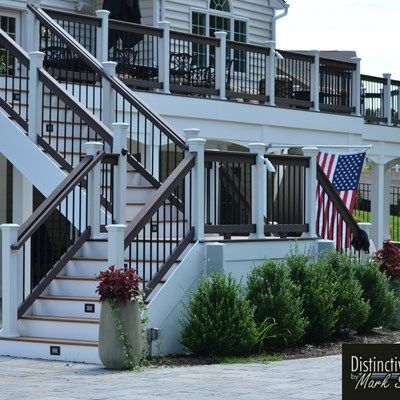 We installed outdoor lighting in the stairs, deck posts and underneath the deck for the covered porch area.